The Rimac Concept_One electric hyper car will make its debut at this year’s Salon Privé, the UK’s most prestigious Supercar Event and Chubb Insurance Concours d'Elégance – held on the 5th to 7th September at London’s Syon Park. Only 88 examples of the sensational Rimac Concept_One will be produced and each will cost $1 million. 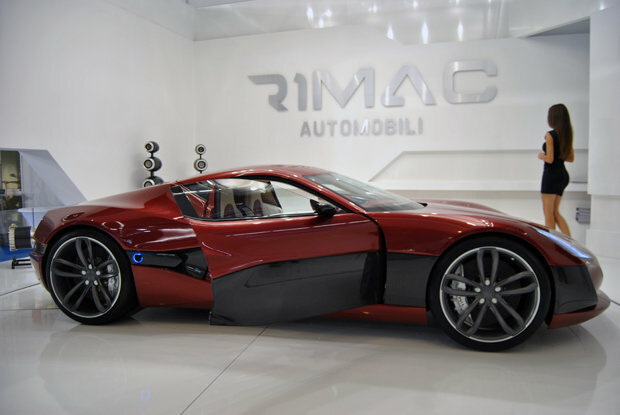 The team behind the Rimac Concept_One includes designers who used to work for the fabled Italian styling house Pininfarina and top Bulgarian leatherworkers from Vilner, among others. The Concept_One’s performance is shattering with 0-60 mph in just 2.8 seconds. It also has the ability to reach a top speed of 190 mph and a range of 373 miles. The kerb weight is 1850 kg.